We are offering VFD Control Panel. our range of vfd control panel is a speed drive that provides a means of driving and adjusting the operating speed of motor. 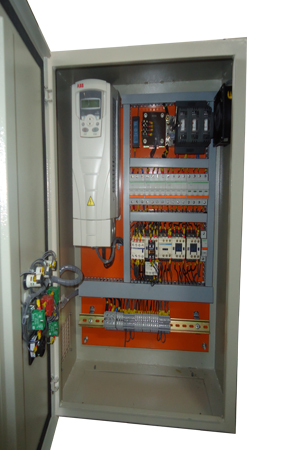 We offer vfd panel fully equipped with all the necessary switch gears like mccb, bypass contactor, input output chock, speed control pot etc. As a special features we can provide vfd panel with dol star delta starter so that customer can run his motor on dolsd at the time of breakdown of vfd.